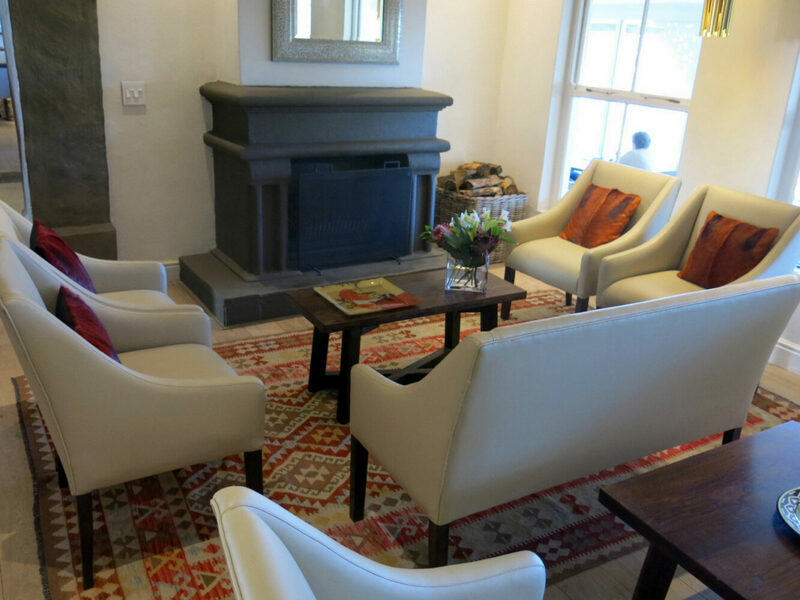 Situated in the beautiful Franschhoek valley just an hour from Cape Town, La Petite Ferme offers both local and international guests award winning cuisine, wine and accommodation. The Franschhoek valley is synonymous with world-class dining, boutique wine and luxury accommodation and La Petite Ferme certainly delivers on all these fronts. Achieving this ultimate trifecta in hospitality is made possible by the team of individuals who are dedicated to delivering an exceptional experience to guests. 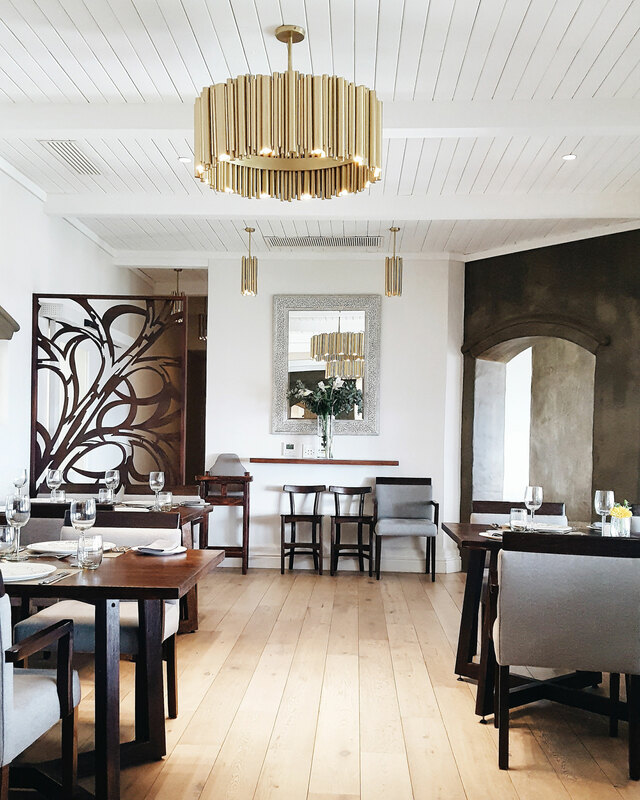 In their continuous pursuit of excellence, La Petite Ferme worked with Patio Life to furnish key spaces such as their restaurant, bar and lounge. When sourcing for these spaces, Patio Life selected several Woodbender pieces to complete the overall look of the newly decorated areas. For the lounge our Hampshire Lowback tub and two seater was chosen and upholstered in a cream vinyl and accessorised with red scatter cushions. This combination is the perfect complement to the floor rug in the same hues and looks great positioned around coffee tables and next to the fire place. The restaurant at La Petite Ferme prides itself on using the freshest in-season ingredients locally sourced from the valley. 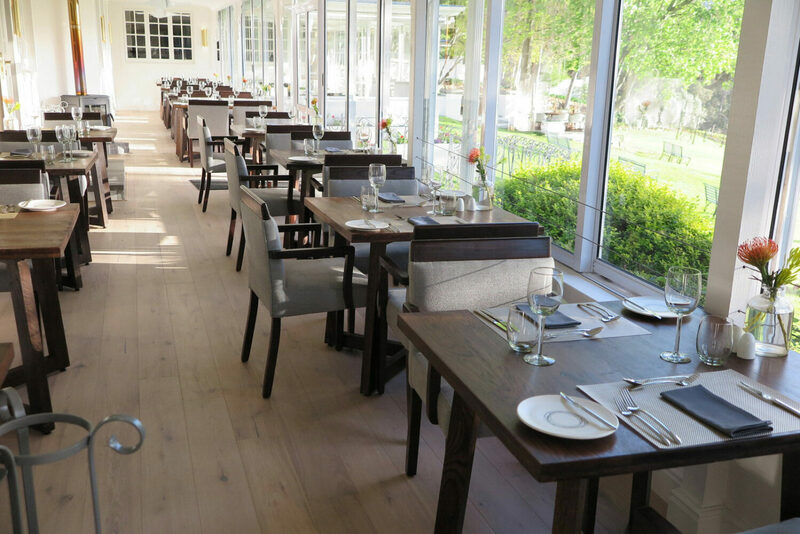 The team believes in offering guests a sustainable menu while promoting the local economy and so you’ll find certain items such as vegetables, mushrooms and trout all sourced from Franschhoek itself. In keeping with their passion for sustainability, they selected Woodbender designs for this space as all our furniture is made from Ash timber sourced from certified forests. The Francis Showwood Carver was selected for around the tables and diners with small children were kept in mind with our Ashton Children’s Diner being the go-to choice for seating for little ones. 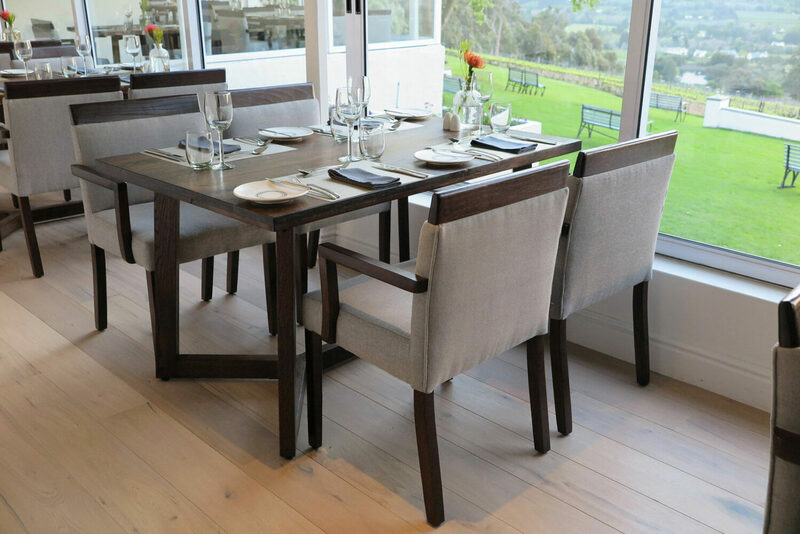 And finally, providing guests with the ultimate comfort while they enjoy a glass of wine or cocktail at the sleek bar area, are our Plettenberg Showwood Bar Stools.